There are literally hundreds of standard skylights manufactured each year, available in over 200 different sizes and shapes, and a full rainbow of colors. 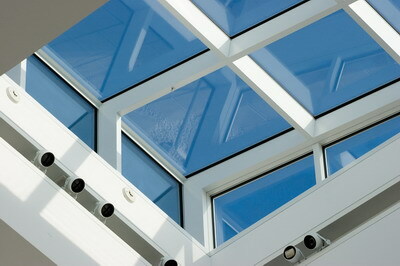 Sometimes, however, a building may be so uniquely structured or designed that a standard skylight will not fit or operate properly where it is required. 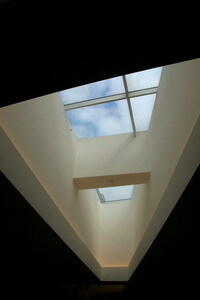 It is in cases like this that you need a custom skylight. 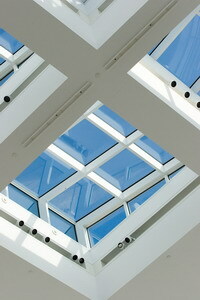 Custom skylights are designed according to your needs, taste, and of course, your building’s structure. A custom skylight solution is usually the best way to lighten up a room with oddly dark corners or curves, and save money on expensive, full time electrical lighting. Choosing to install a custom skylight eliminates all existing limits on size, function, and appearance, and they are made to provide innovative aesthetic qualities and functionality requirements. 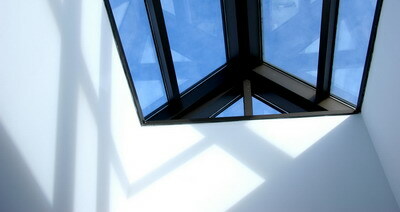 Some of the styles a custom skylight might assume include triangles, skirballs and trapezoids, sloped or inclined positioning, and covering large areas up to 90 square feet. Custom skylights can be made from practically any material, yet the most common include glass, plastic, aluminum, and wood. All custom skylights can be integrated with safety additions such as safety glass, UV protection, and penetration resistant qualities, as well as many other added functions including skylight shades and flashings. While you may already be sure about the look and performance you are aiming for, designing a custom skylight requires consulting with a professional. Roof 101 offers a team of custom skylight experts, who can not only evaluate and asses the structural requirements of the building and custom skylight, but also provide innovative design ideas to improve the performance and appearance of your custom skylight. To speak with one of our professionals, contact us by phone, email, or the online form.